Arrival: Immigration in Full Frame’s Participatory Media Installation is a Featured Artist at Boston’s Hubweek! BIG and our project, the Public VR Lab, are proud to announce the launch of a participatory media installation on immigration and migration stories in Brookline and beyond. We’ll be sharing the first release of Boston and Brookline stories from Arrival: Immigration in Full Frame in our container at Hubweek from Wednesday, October 10th through Sunday, October 14th, 2018! 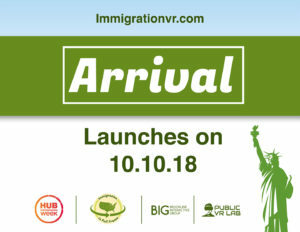 In addition to watching these compelling XR/VR stories, visitors will also have the opportunity to record their own families’ immigration and migration stories onsite as part of an interactive component of BIG’s exhibit. These new stories will be included in a broader national project that features a VR/XR visual timeline, scheduled to launch as a separate immersive storytelling project in late 2019-early 2020 at film festivals, libraries, museums, and arts and cultural organizations nationwide. Please come by Hubweek October 10th-14th in Boston’s Government Center, check out the stories and share your own American arrival story! 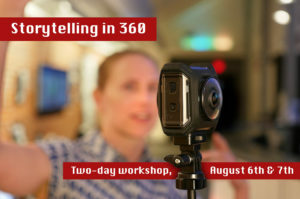 Come be curious and play with us for two days of professional development in VR, AR and 360 storytelling in Boston this summer! Sign up here, and email Erin [at] brooklineinteractive.org with any questions. Learn new skills, experiment, and gain curriculum and units for your classroom! We’ll have two tracks on the Basics of Unity and another on creating 360 digital storytelling projects using personal narratives with your students in the middle school, high school and college level classroom. Thank you to everyone who joined our co-founder and director, Kathy Bisbee, on today’s Alliance for Community Media webinar. We’ve added links to some of the resources she mentioned below, and have linked to her presentation here. The Public VR Lab is also available for training, consultation, equipment discounts, curriculum development and support for arts, media and cultural organizations moving towards an emerging media practice and bringing Community XR to your community. More about our campaign to build a field for Community XR here. CONTACT: Feel free to be in touch by emailing Erin Kinney [at] brooklineinteractive.org or info [at] brooklineinteractive.org. You can reach Kathy on Twitter or LinkedIn @KathyBisbee and @PublicVRLab. Weather Channel Video using Mixed Reality-Used Unreal programming to code/create a “virtual studio” that then blew up the virtual studio on a live broadcast. Does Medium Matter? -VR Research & Report from Frontline and Nonny de laPeña funded by The Knight Foundation. Kamal Sinclair, Director of the New Frontiers program at Sundance, has an exceptional resource bank here of digital inclusion, equity, -especially in the VR/XR space etc. (BROOKLINE, Mass., March 22, 2018) Launching March 22nd online and in virtual reality, the United Nations Environment Programme (UNEP), Brookline Interactive Group (BIG), The Public VR Lab, and Datavized Technologies are pleased to announce the public launch of “There’s Something in the Air,” a VR data visualization experience exploring air pollution and global data over time around the globe. The public launch coincides with the official launch of Datavized’s closed beta platform at the Data for Development Festival, the inaugural gathering of the Global Partnership for Sustainable Development Data in Bristol, March 21-23 and will be on view in the VR Data Play Space along with access to Datavized software tools and at the festival and the Bristol Data Dive on March 23. 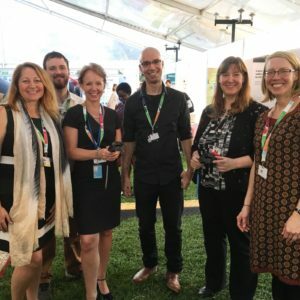 The visualization, powered by Datavized WebVR software, was presented by the Public VR Lab’s team at the third session of the United Nations Environment Assembly “Towards a Pollution-Free Planet” of the United Nations Environment Programme (UN Environment) in Nairobi, Kenya on Dec. 4-6, 2017 to 800-1000 UNEA delegates, volunteers, NGOs, students, businesses, activists and world leaders, helping them to experience and understand environmental data stories in a new way. The collaborative project was spearheaded by the UNEP, Brookline Interactive Group, The Public VR Lab, The EcoLearn Project, and Datavized Technologies to demonstrate how VR can create a paradigm shift to a more hands-on, visceral understanding of environmental issues through immersive data storytelling, and the physical sense of presence and increased empathy that VR provides. “There’s Something in the Air” presents estimates of air pollution based on fine particulate matter (PM2.5) and mean annual exposure by country every five years from 1990-2010 and yearly between 2010 and 2015. Data sources include the Health Effects Institute – State of Global Air. “The response of over 800 UNEA delegates and world leaders was absolute raw delight and enthusiasm for their experience of virtual reality. 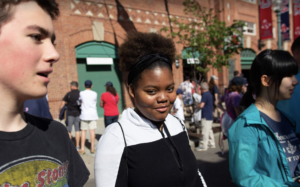 From the seven-year-old environmental activist, Sasha Bennett, to Ibrahim Thiaw, Assistant Secretary-General at the United Nations Environment Programme (UNEP), all remarked how very real and impactful their virtual reality experience was,” added Ms. Bisbee. For the past two years the Public VR Lab has provided free community VR demos, launched a VR Academy teaching six different ways to create XR content, and began creating VR/AR experiences in the public interest, working with artists, local museums, education, arts and technical organizations, and with local government. 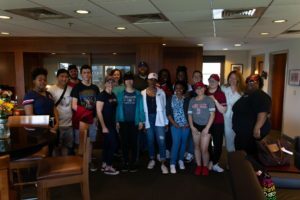 The Lab is training the next generation of creators and environmental educators through a high school job training program, the VR Ecohack, a hackathon focused on mentoring new storycoders, and supporting immersive journalism projects like their collaboration with the Boston Globe’s STAT news team. In 2018 the Lab launched a national collaborative VR filmmaking project on American immigration/migration stories with 15 community-based filmmakers and organizations from Alaska to Philadelphia, called Immigration in Full Frame. 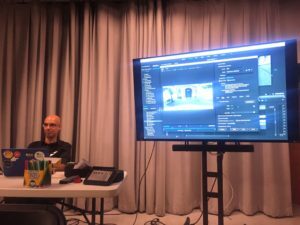 With the goal of accessibility in mind, the Lab recently began providing low-cost VR Demos & Creator Toolkits to libraries, schools, arts organizations, filmmakers, universities, governments, and other cultural organizations to build their capacity to demo VR, create local content, and to show that VR can be accessible and used in the public interest. “There’s Something in the Air” features a customized visualization of the Datavized software tools scheduled to be released in 2018. Datavized immersive visualization technology, built on the WebVR API, enables users with efficient, easy-to-use, three-dimensional geospatial templates for mapping global, national and city data visualizations. 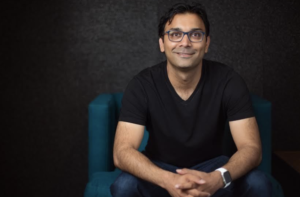 The startup, headquartered in New York, is currently expanding its closed beta program working with pilot partners in industries including government, business, education, transportation, mapping, statistics and sustainable development. Business and individual users can sign up to request access to the beta platform through datavized.com. “This experience demonstrates how big data and VR can be used together to create an immersive environment for increased understanding and enhanced communication of real-world challenges. We are delighted Datavized geospatial software products and mapping technologies are being used as powerful tools for environmental education, awareness and impact,” Debra Anderson, co-founder and chief strategy officer, Datavized Technologies Inc. The experience is viewable on any connected device at https://demo.datavized.com/somethingintheair, including mobile, desktop, tablet and in VR through WebVR browsers, including in the HTC Vive, Oculus Rift, Samsung Gear VR, Google Daydream, Google Cardboard and Microsoft Windows Mixed Reality headsets. For details on WebVR browsers and supported platforms, visit webvr.rocks. “The data collected and experienced through this pioneering VR initiative will inform policymakers on the status of air pollution in their respective constituencies worldwide. 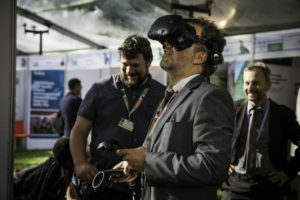 We, at UN Environment, hope that this VR experience will help expedite the implementation of the recommendations in the resolution approved at the Third UN Environment Assembly,” said Cristian Mazzei, special assistant to the director of the ecosystem division of the United Nations Environmental Programme. “The experience we created together represents a new frontier in environmental education, uniting the possibilities of new technologies with the urgency of crises such as air pollution. The leaders exposed to this tool gain a new understanding of the issue, and also an understanding of how emerging technologies can add a vital dimension to education,” said Nir Darom, lead creative designer at the Public VR Lab. 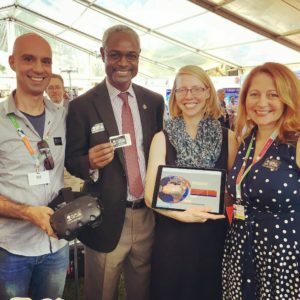 Nir Darom, Lead Creative Designer at the Public VR Lab with the Ibrahim Thiaw, Assistant Secretary-General at the United Nations Environment Programme (UNEP), partner, Amy Kamarainen from EcoMOVE, and Public VR Lab Co-founder/BIG Director, Kathy Bisbee. 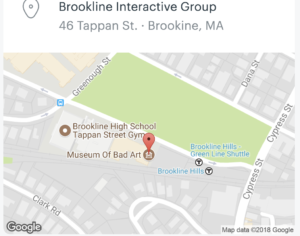 Brookline Interactive Group (BIG) is an integrated media and technology education center and a community media hub for Brookline, Massachusetts and the region. 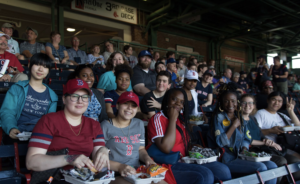 BIG facilitates diverse community dialogue, incubates and funds hyperlocal storytelling, arts, journalism and technology projects, and serves over 500 youth and adults annually through innovative classes and partnerships. BIG offers extensive multimedia training, VR, AR and 360-video cameras and training, access to high-quality filmmaking equipment, production grants, artists’ residencies, and provides low-cost professional media services to nonprofit organizations, education partners, businesses, and to local government. BIG, the Public VR Lab, Fasility, and the Mozilla Foundation invite you to join the WebVR Experience Challenge and create a new game, experience, design, or interaction using assets from the Real Time Design Challenge with Sketchfab. Bring your WebVR skills to the next level at this one-day mini-hackathon at Brookline Interactive Group (BIG) hosted by the Public VR Lab and Fasility, in partnership with Mozilla Foundation. 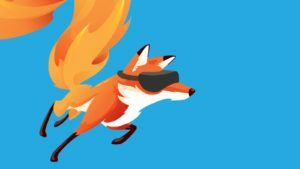 Mozilla invites you to join the WebVR Experience Challenge and create a new game, experience, design, or interaction using assets from the Real Time Design Challenge with Sketchfab.This mini-hack will offer workshops and mentoring to help you meet the challenge! Participating is an awesome way to gain experience in WebVR and become a part of the open-source VR community. Submissions are due to Mozilla by April 2, 2018. By the end of the day’s mini-hack, you’ll have improved your plan, prototype, or in-progress project to help you along the path to a successful submission. Refreshments will be provided during the afternoon and the event will conclude with time to share the day’s results and vote for superlatives. This hack is in partnership with the Mozilla Foundation, hosted at BIG & the Public VR Lab, in collaboration with our awesome WEBVR partner, Fasility. You can join our Public VR Lab Meetup group to learn more about hacks and events at the Public VR Lab! The second hack is with Boston VR on augmented reality (AR) and using AR Tookit. Mohammad Azam (http://www.azamsharp.com/) is a well-known ARKit guru and instructor. He will give a free class on ARKit at 10:15AM, open to the public. The class will start with learning the basics of ARKit development and then dive into intermediate topics. Azam will also provide free access to his best seller 8+ hour Udemy course on ARKit and his ARKit development book. The rest of the day, until 6:00pm, will be a chance for everyone to work on their own VR and AR projects. We’ll have one or two htc vives, an Oculus rift, a hololens or two, and so on. However, the resources and emphasis will be on ARKit. We will gather as many ARKit experts and other resources as we can and add them here, as they are found. An iPhone 6S or above is required to run ARKit applications. We will begin at 10:15 am sharp. There will be a small $5.00 fee to pay for pizza and snacks. If you cannot afford it for any reason, please contact jeff@enterprisevr.com and we’ll give you complimentary ticket. Hello from Nairobi, Kenya! 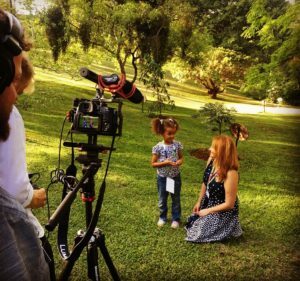 Yesterday I met and interviewed Sasha Bennett, a seven-year-old Kenyan environmentalist who has planted 320 trees! @SashaBennettKEso . She was a delight, an inspiration and so fun to spend time with, and hopefully tomorrow, she’ll get her dream of meeting President Uhuru Kenyatta of Kenya! We’re hoping he’ll also stop by to try to virtual reality at our booth! We’ve been here in Kenya just 72 hours and we’ve learned so much! Like how fun it is to meet people from all over our planet who are committed to protecting our earth. We’ve been reminded that VR is still so mystical and magical to people from all over the world, when trying it for the first time, and about how hungry people are to find ways to use technology for good, to tell stories, to educate and inspire for global change. We’ve watched as people try VR and find it so real they peel the headsets off, scream and laugh with delight, and in two cases, thought that it might even provide one with X-ray vision! We’re very pleased to be introducing VR to new users, to world environmental leaders, to youth, to students, to seniors, diplomats, and NGOs, and help them consider ways they could bring Community VR to their countries. More soon about our partnerships on this project, the collaborations we are forming, and ways to become part of the Public VR Lab! In the meantime, If you’d like to become an affiliate of the Public V R Lab or learn more about how to work to bring VR to in your country or community, please email our co-founder and director, Kathy Bisbee at the Public VR Lab and Brookline Interactive Group (BIG): kathy@brooklineinteractive.org.